It's the year 2030. A new form of entertainment has taken the world by storm. Ride Concerts where music merges with combat as contestants sing and battle their way to the top in their quest to be the champion. The rules are simple. A team is composed of Riders. 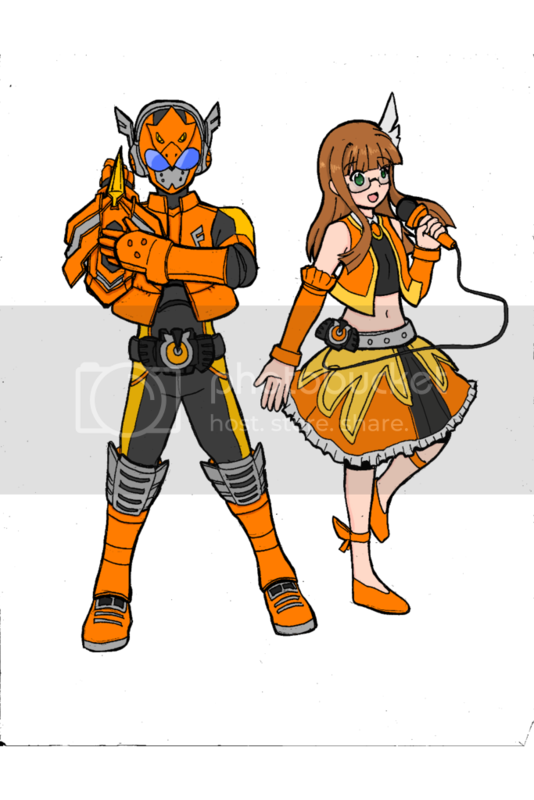 Armored combatants who do the fighting and Harmonizers who utilize their songs to wow the audience and provide support and buffs to the Riders. Two teams battle in the arena where who ever depletes the enemy's Hp meter or has more points gained from audience votes after the timer runs out wins. 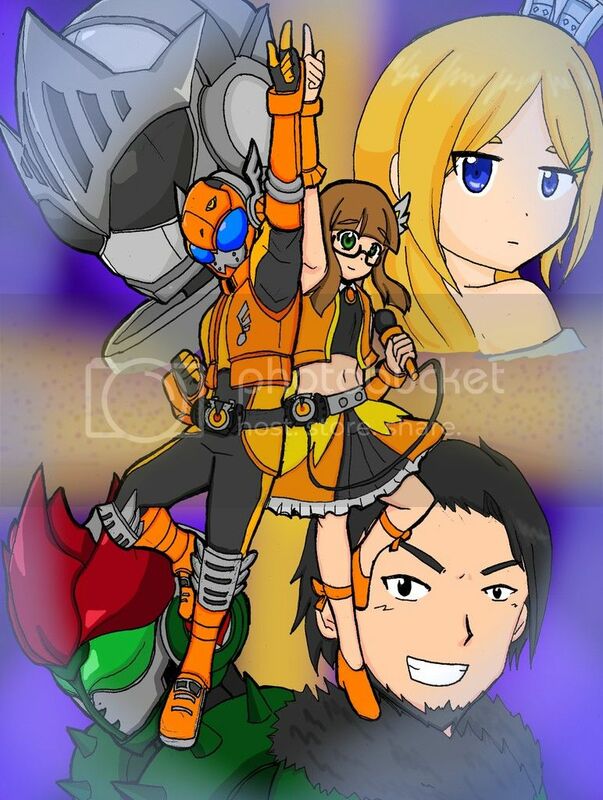 The story centers around Suzumu Takatori, an aspiring Rider and Ritsu Hibiki, an aspiring Harmonizer in their quest to be the champion like their idols Kamen Rider Blaze and Harmonizer Mai Houojin who both disappeared 9 years ago. But unfortunately things weren't too good for them as they both flunk their respective auditions. But after an encounter with a supposed " talent agent" named Sayo Tennouji who happens to be conveniently carrying a set of rider belts and is being pursued by mysterious monsters called Deschords, the two are forced to fight together to protect the town. Taking their first step to achieving their dreams, they meet various rivals but unknown to them a sinister entity who refers to himself as "Maestro" is lurking the town and turning people into Deschords and that the Ride Concerts they love may be hiding a dark secret. Man I've probably been watching too much Macross. Sorry if the grammar's a bit wobbly. It's kinda late here and I'm getting a bit sleepy so that will have to do for now. BTW details on the Riders will come later. Last edited by YuuHikari; 08-11-2018 at 11:17 AM..
Well, well well. It's about time you posted some more good stuff. I like unique ideas like this. Very cool. I came up with a toku story idea that involved pirates, dinosaur suits, aliens, and alchemy. Probably never gonna write it, but whatever. Yes. But I demand proof! Rizum's base form accessed by placing the Sparrow Recodisc a CD like device containing the data for Rizum's forms and Ritsu's songs inside the Beat Driver. Despite being rather outdated compared to the other Riders it still has a few tricks hidden in it's system. The most notable one is the ability to Beat Shift (change forms) to adapt to different situations. At the moment it has 5 forms available Sparrow, Raptor, Runner, Arctic, and Falcon. Each form requiring a specific emotional trigger and synchronization rate between the Rider and the harmonizer to activate. It is armed with the Cross Sparrow an arm mounted crossbow which can also be used for close range combat. 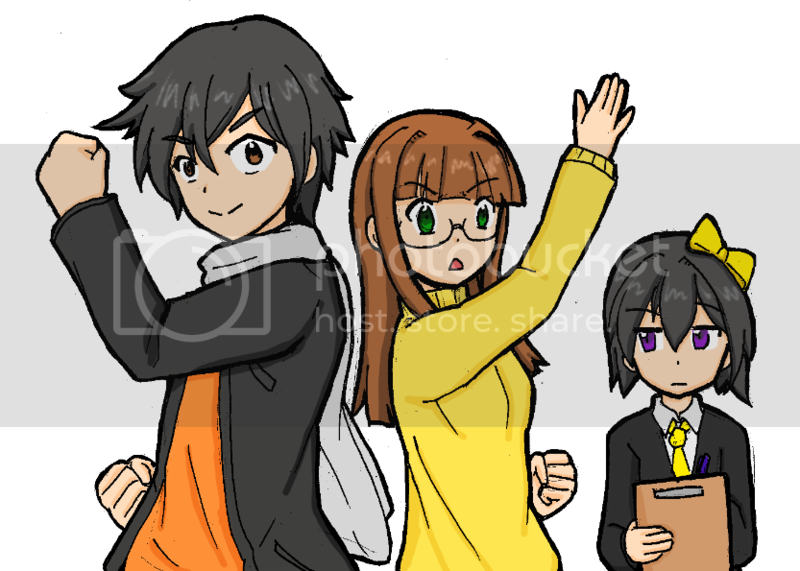 Here's a bit of info on the main protagonists. Suzumu Takatori- A 20 year old young man from the countryside. He has a rather silly personality and socially clueless but is always ready and willing to help out others in need. He idolizes Kamen Rider Blaze and aspires to become the champion like him. Ritsu Hibiki- A 21 year old young woman who has been hit with failure after failure causing her to become rather pessimistic and constantly blames herself for everything that goes wrong in her life. She serves as the straight woman to Suzumu's antics teaching him how life in the city works although she's willing to go with the sillyness every once in a while. And despite their differences, they manage to complement each other very well. She idolizes the Harmonizer Mai Houojin and aspires to become a top harmonizer like her. Sayo Tennouji- Rizum's agent and manager who despite her middle schooler like appearance is actually 24 years old. She is in charge of maintaining Rizum and is also working for the government in getting rid of the Deschords while preventing their existence from being known by the public. She is snarky, grumpy and very strict with everything due to the stressfulness of her job. While she seems to have gotten involved with the Deschords in the past it's unknown to her that she's a very important piece in the war between humans and Deschords. Well that's all for now I'll see if I can do the other Riders next time. Last edited by YuuHikari; 08-21-2018 at 10:51 AM..